To enable better business productivity and efficiency, a robust communications platform is essential. The rise of Cloud technology has given organisations of all sizes more options in terms of the type of communications solutions they deploy and how they purchase software. Whilst Incom-CNS was an early adopter of Cloud technology, we offer a diverse range of Cloud, on-premise or hybrid communication platforms from leading suppliers, to ensure you have the best fit to add tangible value to your business. We understand that no two organisations are the same. A start-up might need more flexibility than an enterprise company. An organisation with remote workers might be more inclined to look for mobility than a smaller company with all employees based on-site. Your industry, the make-up of your business and the type of products or services you provide will have a strong impact on which infrastructure configuration is best suited to your specific requirements. From cost, scalability and security to customisation and implementation, Incom-CNS will objectively evaluate your current situation and assess if your best option is a Cloud platform, hosted, on-premise or hybrid solution. We will also manage every step of the process, from design and architecture to implementation and ongoing support. 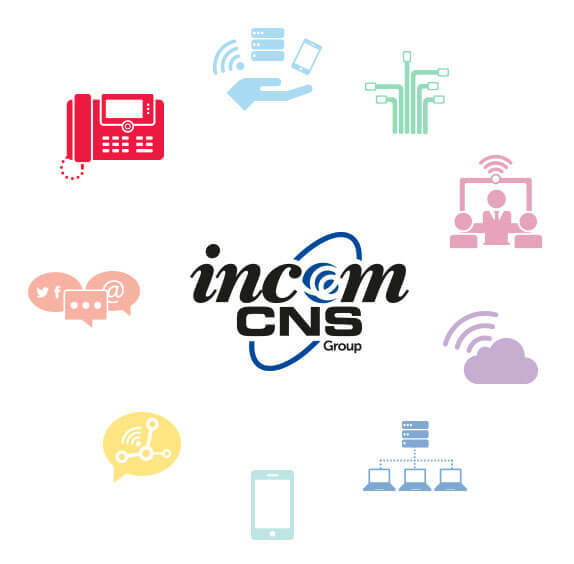 We were impressed with how Incom-CNS looked to help us save money, improve our flexibility to manage seasonal demands and increase our efficiencies which the Mitel system has certainly done.